The ‘Inglourious Basterds’ of Tarantino’s motion picture really existed. And one of them was the late Hans Wijnberg, a former RUG professor of organic chemistry. Quentin Tarantino’s ‘Inglourious Basterds’ is loosely based on a real American espionage mission during World War II. One of the three secret agents on the mission was Hans Wijnberg, the selfsame Wijnberg who was an organic chemistry professor at the RUG from 1960 to 1987. 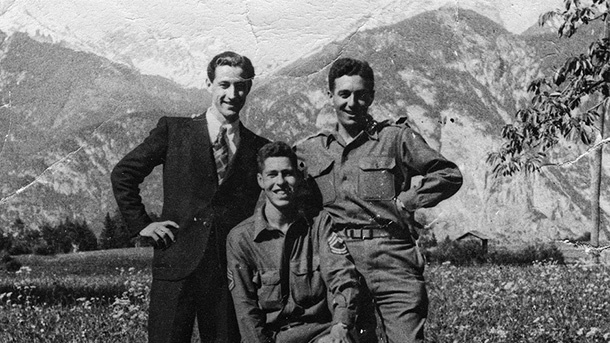 The ‘Basterds’ in Tarantino’s film started trouble for the Nazis in France, but Wijnberg and his two fellow soldiers were dropped into Austria to spy on German troop build-up and transportation of supplies in the region. Eventually, the trio was co-responsible for the relatively non-violent surrender of Innsbruck, the capital of Tyrol, to the allies in 1945. A documentary film about the true story behind ‘Inglourious Basterds’ from 2012, titled ‘The Real Inglorious Bastards’, will be screened on 3 May in Groningen. There were very few people at the RUG who knew about Wijnberg’s past as a war hero. According to those at the RUG who knew him best, the former professor and director of the Organic Chemistry Laboratory found it difficult to speak about that period of his life. Okay, so maybe they did not actually walk around with bludgeons or Nazi scalps in tow. And no, they did not, in fact, blow up a Parisian cinema, nor did they have the death of Hitler on their conscience. The real ‘Inglourious Basterds’ were not even in France at all: they were dropped in the Austrian Alps, just outside of the Tyrol capital of Innsbruck. But it is absolutely true that the experiences of Franz Weber, Frederick (‘Freddy’) Mayer and Hans Wijnberg were the model for Tarantino’s movie about a squad of Jewish soldiers fighting under the American flag whose singular goal – ‘killing Nazis’ – eventually brought the entirety of the Nazi leadership and the Third Reich to its knees. The reality is considerably less preposterous than the fantasies of the famed American filmmaker, but it is no less gripping. Moreover, 15 years later, one of the three protagonists in the true story, Hans Wijnberg, became a professor and director of the Organic Chemistry Laboratory at the RUG. He saw to it that the laboratory gained international notoriety, especially in the United States where he had lived for 20 years, starting in 1939. Several months before World War II broke out, his father, Leo Wijnberg – frightened by the anti-Semitic climate and the growing threat of Germany – sent his twin sons Hans and Leo, who were Jewish, away from the Netherlands to the United States. They attended school there and in 1943, Hans enlisted for military service. Within the space of one year, he was trained as a parachutist and a secret agent. In 1944, together with the German-born Mayer, he arrived at the southern European headquarters of the American military’s secret service in the Italian city of Bari. There, the plans were laid for Operation Greenup, and in February 1945, it was go time: Mayer, Weber (a Wehrmacht lieutenant from Austria who had defected) and Wijnberg parachuted from a plane above the Ötztal Alps, landed on a glacier and fought their way through waist-deep snow toward Innsbruck. 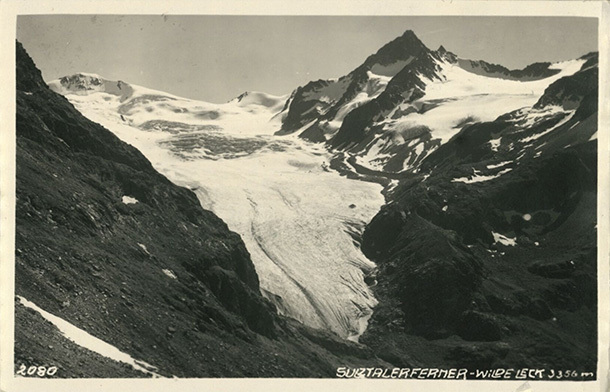 The drop zone, the Sulztal Ferner. This is the area circled on the left side map. As the allies continued their advance, Mayer narrowly escaped being tortured to death, initially thanks to a German military doctor with whom Mayer maintained a friendship after the war, and subsequently thanks to Franz Hofer, the highest ranking Nazi in Tyrol. He saw the supposed big shot officer as his last chance to escape a criminal tribunal. When the allies eventually reached the proverbial gates of Innsbruck, Hofer surrendered himself to Mayer in exchange for immunity. ‘I was absolutely not authorised to do that’, Mayer later recalled. ‘But it sounded like a good deal to me.’ And so, the American-German spy greeted the arriving American troops, waving the white flag of surrender and handing over the most powerful Nazi in Innsbruck. The story seems to lend itself easily to the silver screen, even without Tarantino’s unbridled imagination. And the story was eventually presented in film form, but only in 2012. It was not made into a feature film, but rather a documentary which cleverly capitalises on Tarantino’s blockbuster hit, as the title ‘The Real Inglorious Bastards’ attests. In the documentary, Wijnberg and Mayer (Weber passed away in 2001) revealed the true story. 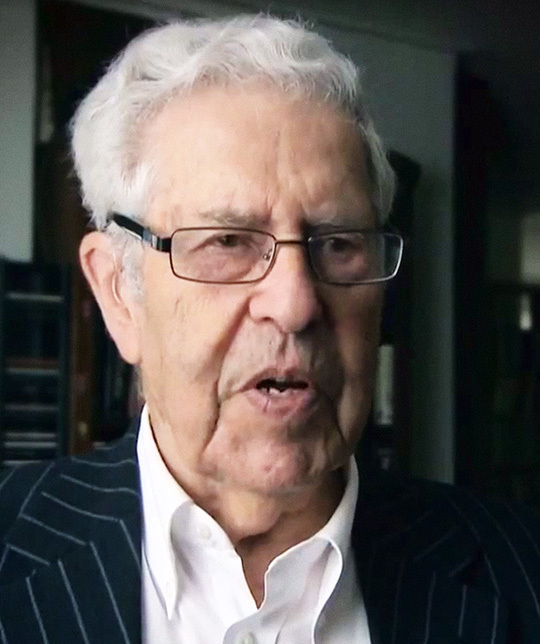 For Wijnberg, it was the last time he would speak of his experiences: the day after the interview – on May 25, 2011 – the 88-year-old professor emeritus died due to complications from heart problems. While the documentary has already been aired on The History Channel several times, the film will have its Groningen debut in the synagogue on the Folkingestraat on 3 May. The timing is fitting, and not only in light of Remembrance Day and Liberation Day. On 15 April, Mayer, the last surviving member of the real ‘Basterds’ trio, passed away. Frederick Mayer was one of Wijnberg’s biggest role models. ‘He always spoke about Freddy with such pride’, says professor Ben Feringa, who was a PhD candidate of Wijnberg’s once upon a time, of his old mentor. He calls Wijnberg his ‘academic father’. ‘I have so much to thank him for. He was a fascinating and exceptionally inspirational man’, according to Feringa, who praised his former teacher in an obituary in 2011. Although Feringa and Wijnberg had a close professional relationship, it was only after Wijnberg entered retirement that he inducted his pupil into the club of those who knew about his experiences during the war. ‘He didn’t speak very much about it before, it only really came out in his final years’, Feringa says. The three ‘brothers in arms’ (from left to right): Franz Weber, Fred Mayer and Hans Wijnberg. Hajema is currently working on a biography about the ‘Inglourious Basterd’ of yesteryear. Through conversations with Wijnberg’s family members, friends, acquaintances and colleagues, he has come to know a bit more about his activities toward the end of World War II and how he talked about that time. On Tuesday, 3 May, ‘The Real Inglorious Bastards’ will be screened in the synagogue at Folkingestraat 60. The screening will begin at 20:00 and will include a preshow consisting of historic footage of Hans and Loek Wijnberg’s departure for New York in 1939. The entrance fee is five euros. More information is available at the synagogue’s website. An in-depth radio interview in 1998 where Wijnberg tells his life story seems to confirm that assessment. In this episode of ‘Een leven lang’ (‘Lifelong’) (which is available online (audio in Dutch)), he speaks at length about their adventures in Tyrol. But when the interviewer tries to probe a bit deeper about Wijnberg’s emotions when he talks about his memories of his parents and his younger brother, all three of whom died at Auschwitz, he tersely says that he does not want to talk about it. That sounds pretty typical of the person that Wijnberg was, according to his old friends and acquaintances at the RUG. Wijnberg was proud and prone to bragging every now and again, Engberts says. And that pride seemed to be at odds with a sense of shame that some of those close to him observed when he thought back on the persecution of the Jews in Europe and especially the deaths of his family members. After the war, Wijnberg briefly returned to the Netherlands to try to find out what had become of his family members who stayed behind. But the Red Cross was the bearer of tragic news: his parents and his younger brother Robbie died at Auschwitz. Wijnberg decided to resume his life in the United States. There, he graduated with a degree in chemistry and went on to work as a researcher at several American universities, only to eventually wind up back in the Netherlands again in 1959 thanks to a fellowship that brought him first to Leiden. Starting in 1960 onward, he served as a professor and director of the Organic Chemistry Laboratory at the RUG. ‘With such a defiant attitude, he was often at odds with people’, Wijnberg’s biographer, Luuk Hajema, confirms. Wijnberg, who was quite conservative by Dutch standards, was strongly opinionated, but his point-of-view was rarely in keeping with the prevailing leftist spirit of the University Council in those days, where he also made himself heard.